Once upon a time, there was a strange flying machine that the United States military used to carry out remote missions. UAVs, or Unmanned Aerial Vehicles, allowed the operator to do just that: fly around an aerial vehicle unmanned, without having to physically sit inside of it. Fast forward several years (or many years, secret military technology is a mystery), and drones are now in the international spotlight. People are beginning to use drones for a number of commercial applications and recreational purposes. Over time, those who were once put off by the blaring bzzzzzzzzzzzzzz of drones have now gotten used to it. Now, drones have become the standard for high-quality videography and photography, allowing us to (safely) get breathtaking shots that previously weren’t possible to capture. Below, we’re going to briefly cover what you should look for in a Los Angeles drone company like Jonathan’s. Let’s take a look. 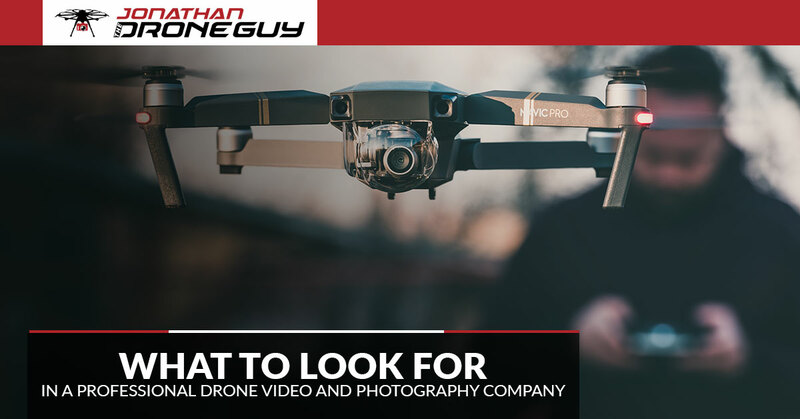 What Should You Look For In Drone Videography And Photography Company? Don’t work with a drone company in Los Angeles that’s uninsured or unlicensed. Doing so could leave you out of a lot of money, or even result in a number of legal complications. Jonathan The Drone Guy is licensed by the FAA (333 and Part 107) and insured up to $2 million. A good drone company will ask as many questions as possible — without pestering you — to get a thorough understanding of your creative intentions. No one likes wasting their time, especially when they’re paying money for it. Whether Jonathan is capturing your special wedding day or meeting with you at a shooting location, he always makes it a point to be on time, prepared, and ready to go. In today’s digital landscape, reviews and testimonials rule king when it comes to choosing a business to work with. Anything less than 4.5 stars isn’t necessarily ideal, and anything less than 4 stars is borderline unacceptable. That’s just how things work these days. Jonathan encourages transparency in his drone business, and you’ll find that he’s attained a wealth of positive reviews. When Jonathan pulls up and starts setting up all of his gear, you might be pretty impressed by what you’re seeing. He never makes a mess, but he let’s just say that he certainly comes prepared with the latest and greatest drone tech. Your Search For A Drone Video Company In Los Angeles Ends Here! Ready to get started? Your first step to success is only a click away. We’ll see you soon!